Show those kids some veteran moves with this interactive sports game! You can rack up points by throwing a football or baseball through tight targets, or kick a soccer ball through for a gooooooooooal at the soccer station. 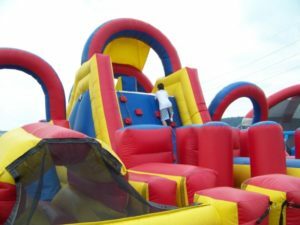 Race to the finish in this huge inflatable obstacle course that tests your crawl, climb, and sliding skills. Victory won’t come easy, but if you take a few shortcuts while the kids aren’t looking you’re a lock to emerge the winner. 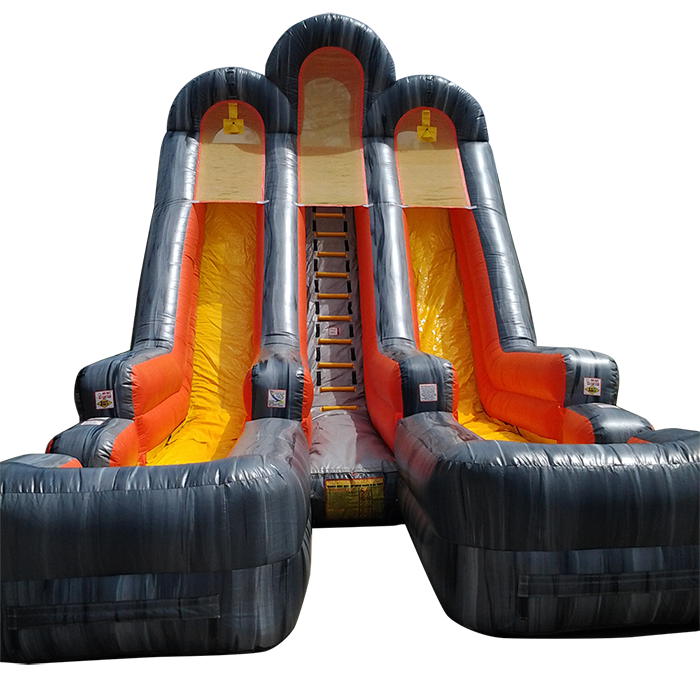 As tall as a two-story home, this giant inflatable slide will whisk you back to the playground state-of-mind in no time. Scale the steep ladder and let gravity take care of the rest! Adults who adored American Gladiator will have a blast trying to knock their opponent from a platform with a padded lance. 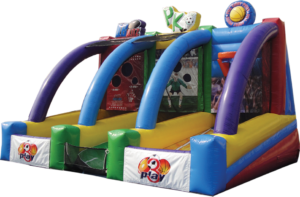 The large inflatable bounce house landing area ensures a safe fall for vanquished opponents, but it won’t protect their pride. 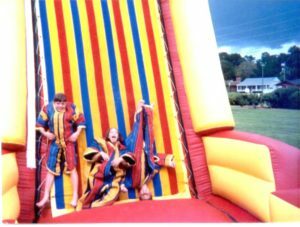 Whether you are racing to the top or simply enjoying the view, the Velcro wall is a classic inflatable that’s equally enjoyable for spectators and participants. Perfect for a scorching summer’s day, this large inflatable slide adds water to the mix with a large wading pool at the bottom. Just make sure you bring your bathing suit! 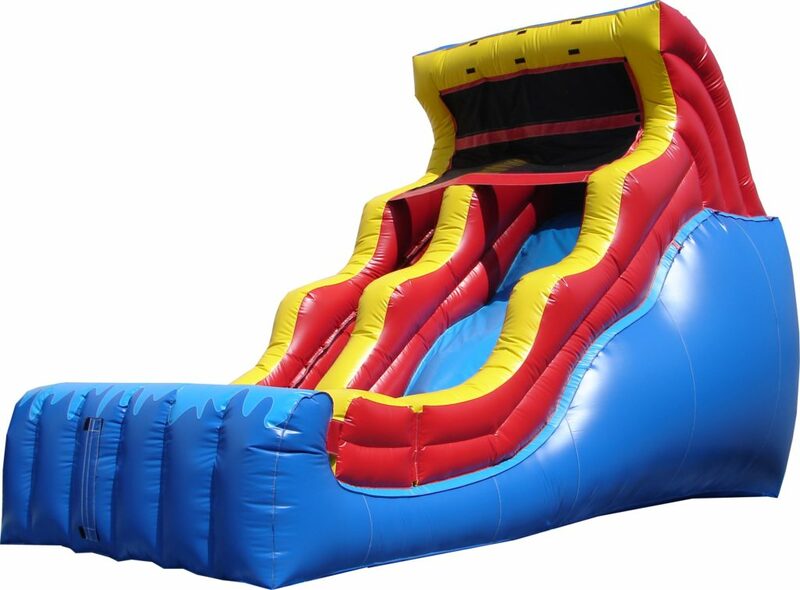 Get a double dose of sliding fun with this impressive inflatable that features two humps per slide, giving riders double the hang-time as they fly down this ride. 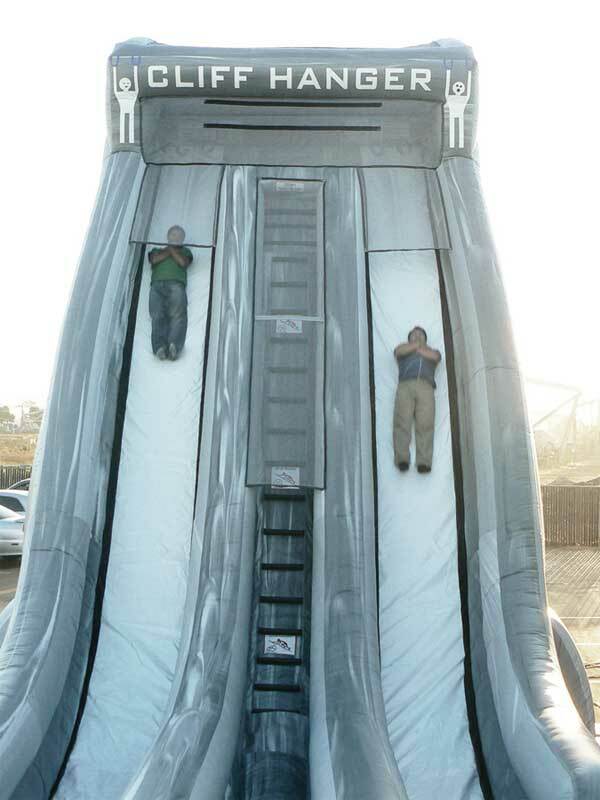 One of the largest inflatable models around, this dry slide provides a fast, exciting trip—both up and down. Fun for kids of all ages. 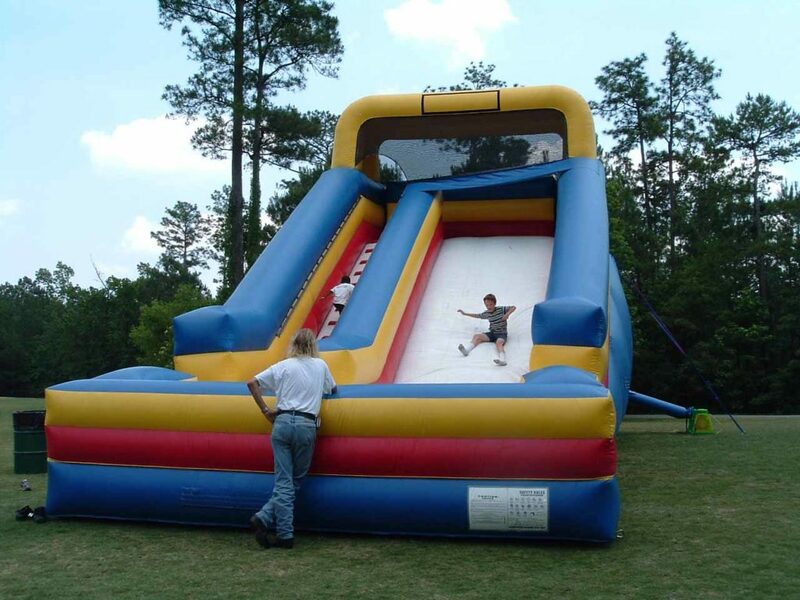 The steepest inflatable slide you can find, this dual-lane model provides a truly exhilarating experience. Dangle off the edge of a cliff before falling three stories straight down. Don’t be embarrassed to scream—you can always blame the person next to you! 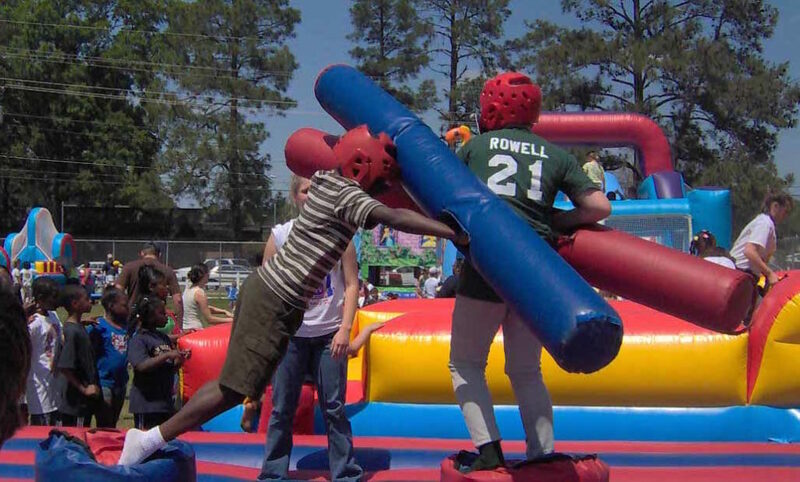 What would a party or corporate event be without a bounce house? This model is in the shape of a giant crawfish, which makes it perfect for seafood boils or cookouts. 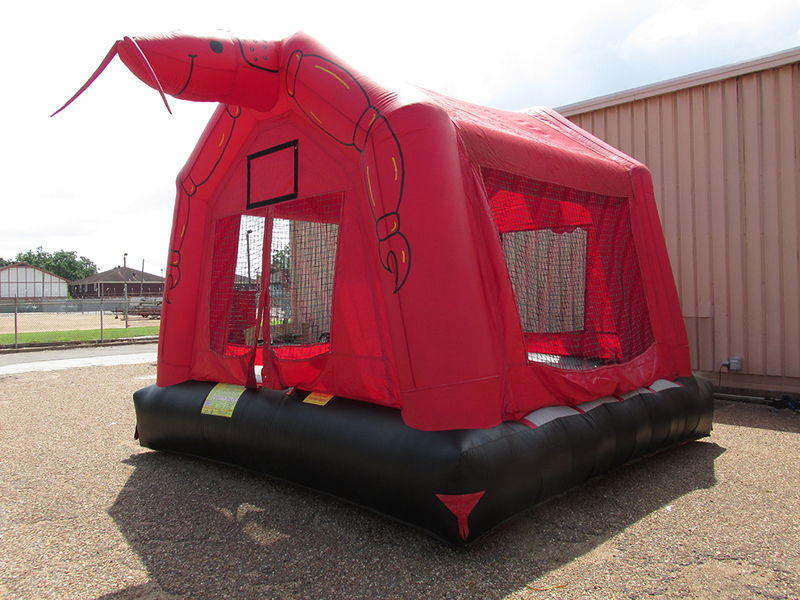 Renting an inflatable slide or bounce house can turn any party into a memorable event—no matter your age!